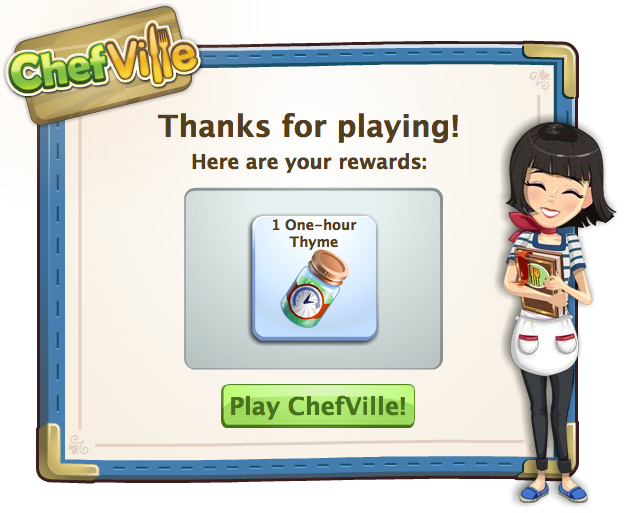 ChefVille Guide: Free 1 One-Hour Thyme! 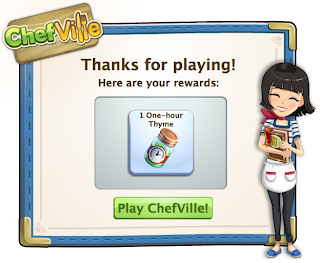 Hey guys just thought I'd let you know ChefVille is giving out 1 One-Hour Thyme. I don't know how long it will be available so tell your friends if you can!